1 Blend Hellmann's® or Best Foods® Mayonnaise Dressing with Olive Oil, garlic and hot pepper sauce in medium bowl; set aside. 2 Combine bread crumbs with salt in shallow dish. 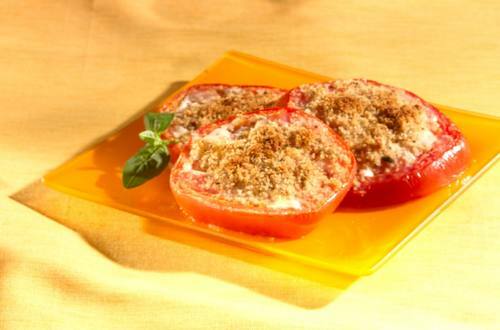 Brush tomatoes with Mayonnaise Dressing mixture, then dip in bread crumb mixture. 3 Grill tomatoes, 8 minutes or until golden brown. Serve, if desired, with grated parmesan cheese and thinly sliced basil.